Warm Summer afternoons are the ideal time to host a pool party. We were inspired by Dolce&Gabbana Light Blue, which is why we partnered with them on this post that highlights ways you can transform your outdoor space into a tranquil landscape. Hosting a stylish pool party is all about creating the perfect landscape — it should be rich in blues and create a relaxing yet luxurious vibe. We took inspiration from this Summer's POPSUGAR x Dolce&Gabbana Light Blue Summer Soirée and put together a must-have list you should follow if you're planning to play host at an outdoor gathering. No outdoor party is complete without crisp cocktails. 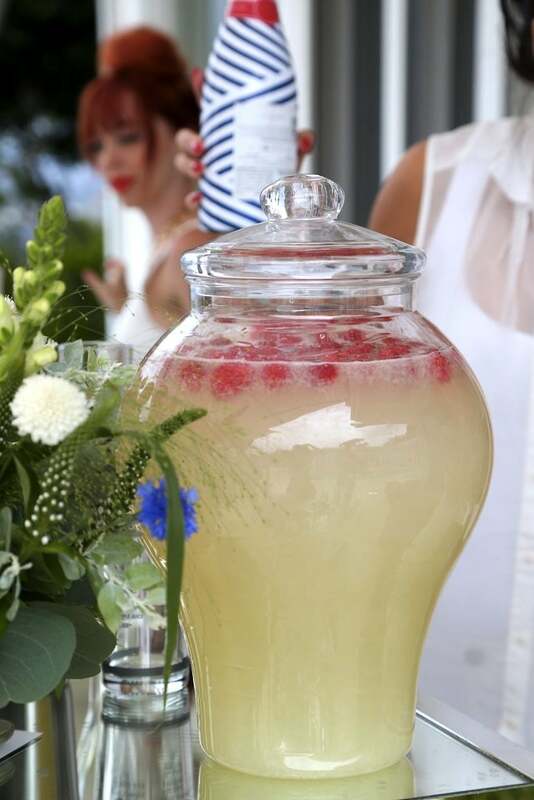 Place a pitcher of lemonade at the entrance so people have a place to go when they arrive, or add a touch of Italian flair and serve fresh bellinis. 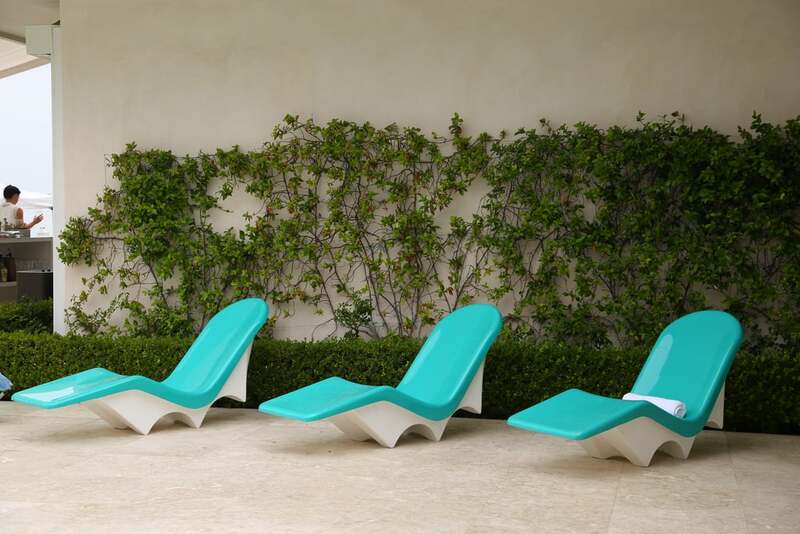 With the Mediterranean as inspiration, lounge chairs in teal blue are perfectly reminiscent of the sea. They fit within the overall theme and give guests a great place to sit. All pool parties need towels for guests who are going to want to get into the pool or just dip their feet in. 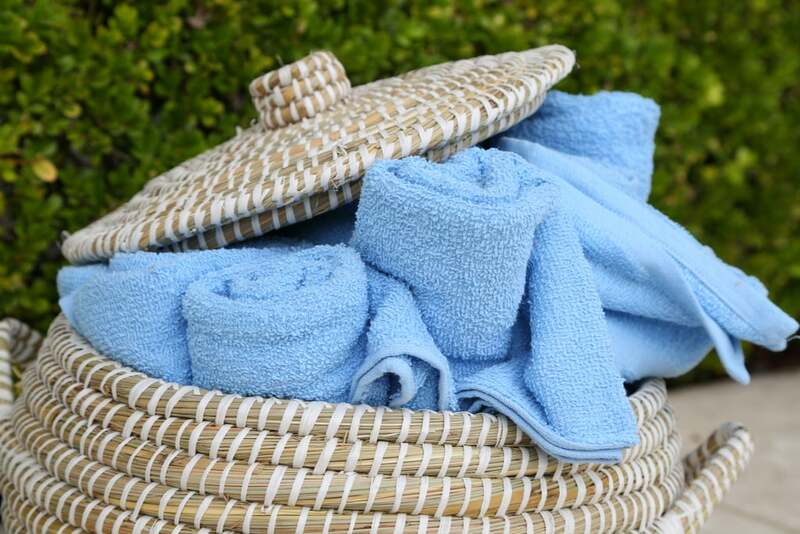 Rather than tossing the towels into a pile, roll them up and place them in a wicker basket. Let your party guests know that it's a pool- or beach-themed affair and to dress accordingly in loose frocks. And scent is important too — something light and refreshing like Dolce&Gabbana's Light Blue perfume is a nice choice. 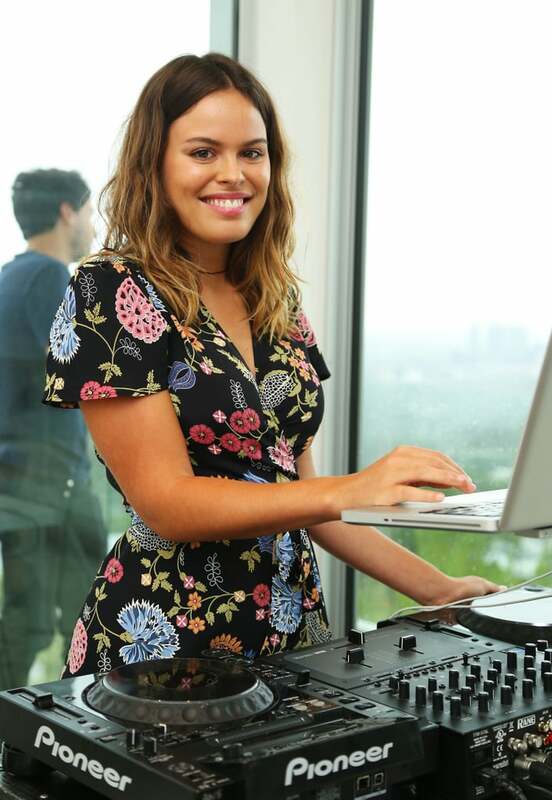 Create a playlist or hire a DJ that will set the mood and make everyone think they're lounging along the cliffs of the Amalfi Coast. 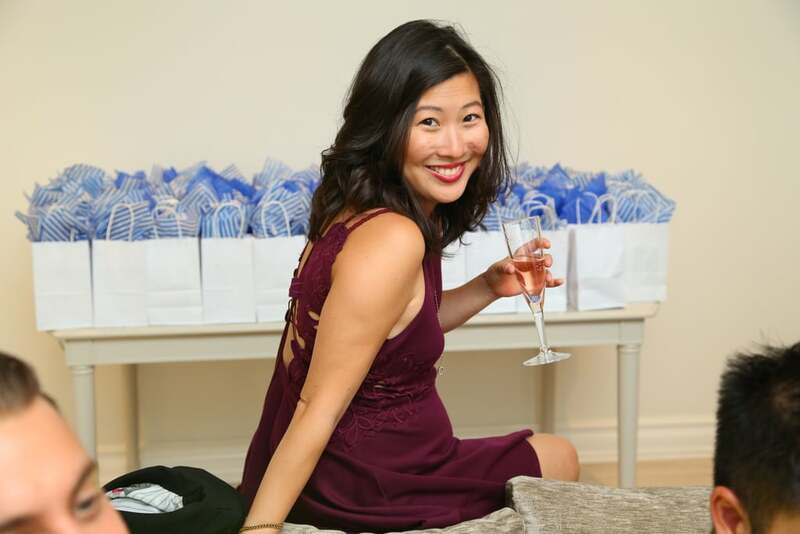 Set the scene with fun props that will encourage guests to Instagram photos from your event. Stark white umbrellas are a perfect touch. 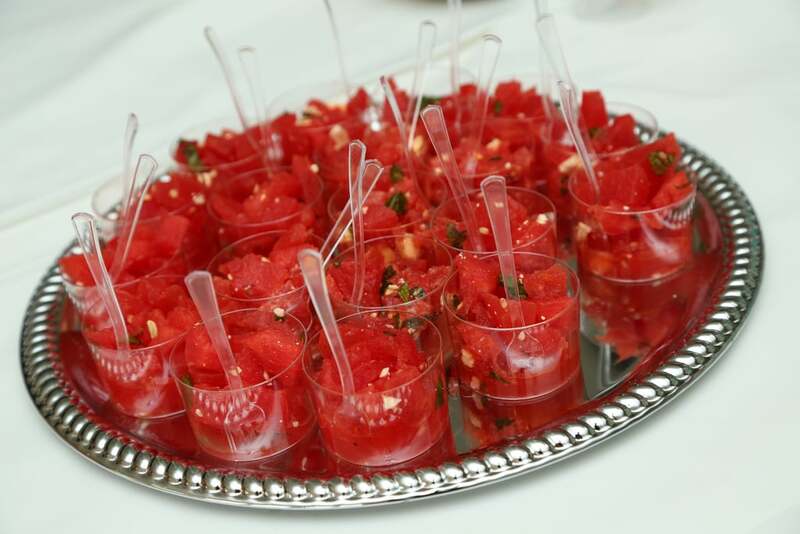 Foods rich in color will stand out against the aqua-blue water at your pool party. Make things easier on yourself and slip a spoon into each small bite. You don't need to break the bank, but it's always great to leave a party with a keepsake. Bonus points if you find tissue paper that blends in with your Mediterranean theme. Give your guests a gift they won't forget. 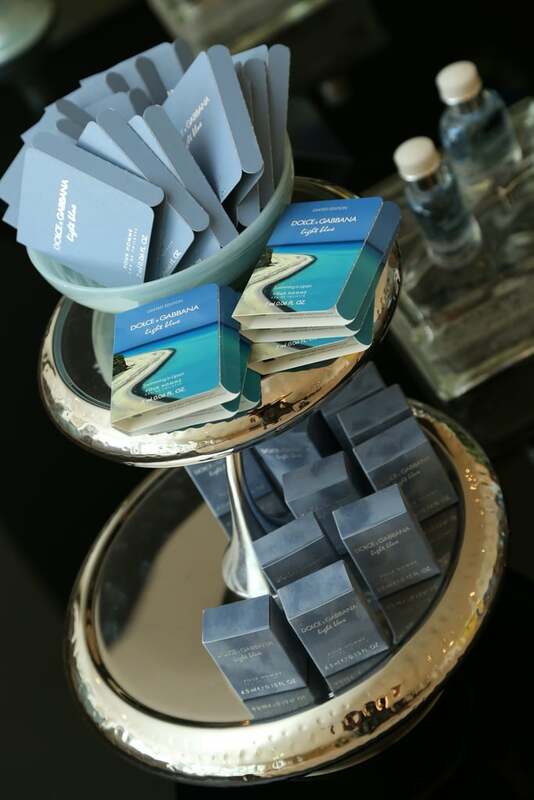 Shop the stunning Light Blue scent — which served as the inspiration for the Summer Soirée — at Sephora today.